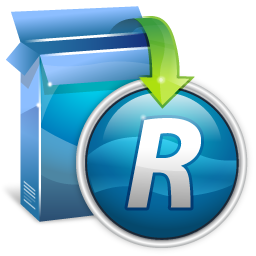 Revo Uninstaller Pro 3.1.9 Multilingual Portable ~ Apps2Portable | Free Portable Apps for PC ! Another way to uninstall a program with Revo Uninstaller Pro or few programs at once is to use the Quick Uninstall command. The sequence of actions is similar to the regular Uninstall command of Revo Uninstaller Pro, but when it comes to the step where you have to review and delete the leftovers, the Quick Uninstall operation deletes the leftovers automatically reporting to you the number of deleted leftovers; and in case you have selected more than one program for uninstall, automatically starts the uninstall of the next selected program. You have a full control over the traced logs. You can edit their data and properties, export or import a log to your Revo Uninstaller Pro.The Edit command let you see all traced changes on hte file system and Registry. The Export and Import Log commands let you share logs with anybody using Revo Uninstaller Pro quite easily thus being sure you are doing the ultimate uninstall of the programs you have installed. For example, if you have problems uninstalling Program A or just want to do a better uninstall of Program A and a friend of yours has installed and traced the same program and has a log, he can just export the log and send it to you. You can import it and use it to uninstall the program as just as if you have traced it.